Salamander Bay finally has an Aldi store. Prices at Aldi are much better compared to Woolies and Coles. Looking thru there catalogue and they advertised Valvoline 20W50 5ltrs $20. Surely it pays to compare prices and competition is a good thing surely? John Laws uses Valvoline well he use to? Just like Laws old ad 'Valvoline you know what I mean'. Better stock up then eh Tim! But its a bargain and John Laws uses it! 300SE is currently using Fuchs German made oil. 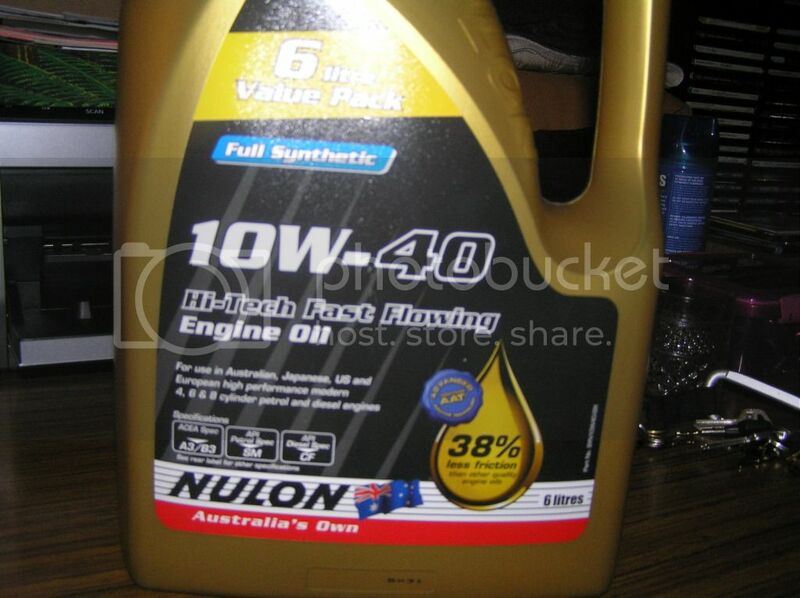 What is so bad about Valvoline in future if it is not a good quality oil I won't use it. Tim - Valvoline oil is fine. There is no problem with it. It's simply that this particular product is now an old-fashioned oil and there is considerable improvement in formulation since this oil was originally developed. In other words, it's an old oil. It is also Valvoline's lowest specification oil and they have a full range of more modern oils also available. You could use Valvoline but you would not use this one - that's why it is cheap. Don't be concerned. All the major oil companies still make a cheap oil for budget motoring. Oil viscosity for the 300SE is 10W40 my MB owners manual says you could also use 15W40 as well. Just changing the subject matter a little. I well recall Oscar's 350SE that has been using 'el cheapo' Castrol Oil for many, many years. This was, and is, at a time when fancy packaging was not yet in use, and the choice of oils was somewhat limited to Castrol, Castrol and a couple of others, so to speak. Oscar carried out a compression test on that M116 engine at a mileage well in excess of 330K. kilometers and he came up with a reading close enough to new - maybe the engine was all coked up, but that was the reading he obtained. So perhaps cheap need not always constitute poor quality. For the last three months I have been using the oil illustrated hereunder. Well no-one in their right mind would buy one from a dealer!!! Or was that an aftermarket filter?? I've always viewed Valvoline as coloured water and Mobil 1 not far behind (even though it's far dearer). I've had a similar opinion of synthetic oils as they appear far too thin to actually protect anything. In the past I've used Castrol and Penrite until I worked for a MB dealer that used Shell Ultra which had a slightly red colour. I've used Shell Helix Plus ever since which had a slightly green colour. I was quite concerned when I used a thinner Shell oil in my V8 Fairmont Ghia in the quest for a little more power. I thought I'd made a very bad choice, as the engine started making a ticking noise. But it turned out to be a leaking exhaust manifold gasket, so my concerns weren't justified. I would agree with that - the only thing I am wary about is small companies that make claims they can't substantiate. Major compnaies can't afford to get oil wrong and the middle range is usually quite good enough. That is, provided it meeets the specs laid down by the manufacturer. The question I have is: is there any real difference between what you buy off the shelf and what is supplied to garages under the label of "Prefessional"? For example, since Mobil has gone out of supplying Benz and other service centres, their place has been taken by Castrol. Castrol also markets what appears to be the same range for both service centres and the general public - except the service centre olis are called "Professional." I asked one Castrol rep if there was a difference but he was unable to tell me - except that the "Professional" is more expensive. Ha!! Maybe that is the difference?